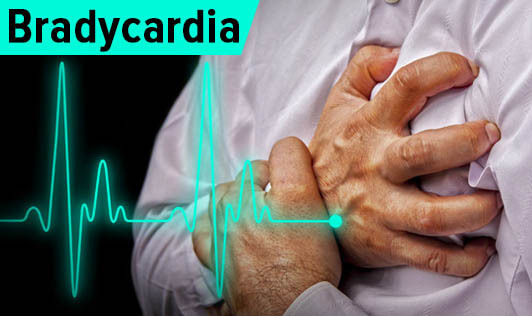 Bradycardia means that your heart beats very slowly. For most people, a heart rate of 60 to 100 a minute while at rest is considered normal. But if your heart beats less than 60 times a minute, it is slower than normal. This can be a serious problem as it means your heart is probably not pumping enough oxygen rich blood to the body. Some people may not have any symptoms or their symptoms are so mild that they think they're just getting older. An implanted pacemaker and other treatments may be used to correct Bradycardia thus helping your heart maintain an apt rate. If you or your child experience chest pain lasting for more than a few minutes or have difficulty breathing, seek help immediately. A number of conditions can cause symptoms of Bradycardia, hence it's important to get an accurate diagnosis and the right care.